Anyone who’s regularly followed my postings knows that I am a huge fan of Michelle Williams. She might not want to play the Hollywood game, but she brings such raw emotions, such realness to each role she inhabits that she should be gracing the covers of every magazine in America by now. 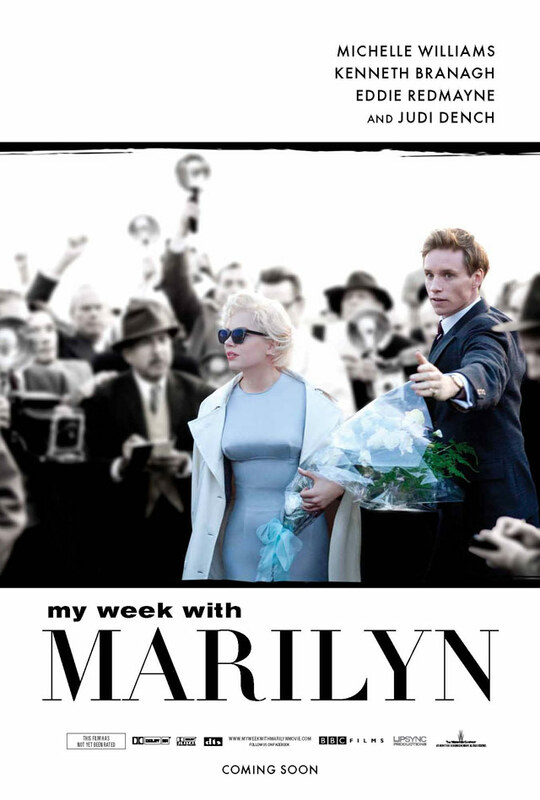 Her upcoming film, My Week With Marilyn (out November 4), is a 1950s romance directed by Simon Curtis. The film follows a week during the production of “The Prince and the Showgirl.” The story is grounded in reality, with Eddie Redmayne playing a real-life production assistant who developed a close friendship with Ms. Monroe. The film will premier at the New York Film Festival and already has generated plenty of Oscar buzz. Williams is due one. Maybe this is her year? The stunning poster art was just released this week. Williams looks every bit the part; here’s hoping the film finds an audience.